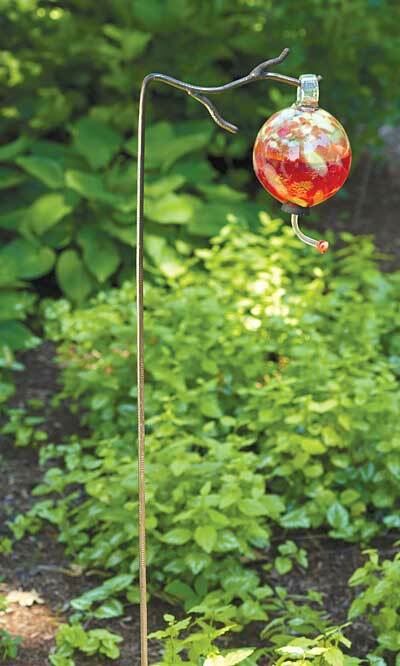 Create a woodland look in your lawn using the Ancient Graffiti Twig Single Shepherd Hook. This handy hanger adds a hint of trees to any setting, with its brown color and textured finish. The 41" long, straight shaft brings a bit of height to the unit, and the top angles sharply outward to create the hook. A few slight curves on this hook mimic a tree twig, furthered by two additional rods jutting from this section. The arm holds bird feeders or spinners up to 15" in diameter, and the 4.5" long, step-in base anchors the unit in your soil. Its steel construction is perfect for use outdoors, and the brown color meshes with your landscaping. Display your love of trees and hanging accessories using this Twig Single Shepherd Hook. Note: This description refers only to the Ancient Graffiti Twig Single Shepherd Hook, Brown, 4'H. The feeder shown is not included. Capacity: up to 15 lbs.